Another absolute gem is the Kat Von D Everlasting liquid lipstick in Lovesick. I’ve mentioned this loads of times before, but know that the formula is gorgeous and the shade is dreamy. 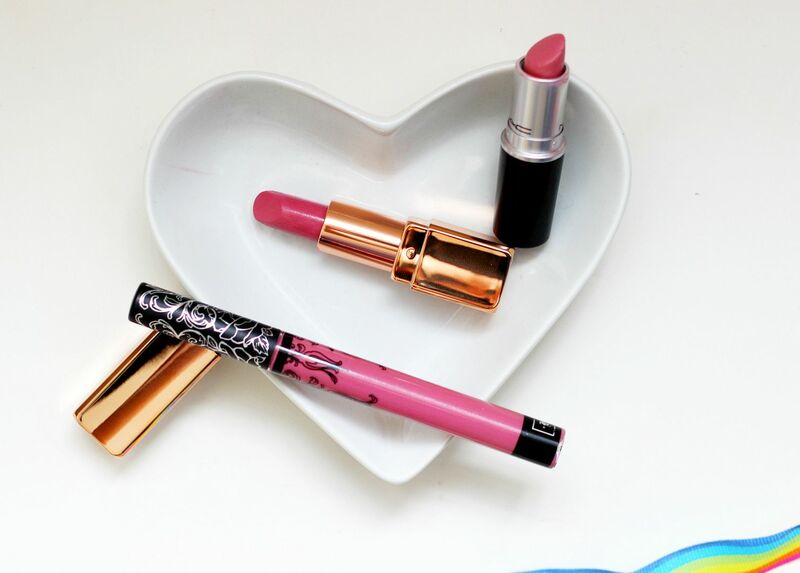 Even more exciting – KVD is coming to Debenhams in September! No more ordering from Sephora and shipping it over. The newest one is the Illamasqua matte lipstick in Wanton. It’s from the new rose gold collection, and is the rosiest of the bunch, and probably the one that suit every skin tone. I like the formula, it’s not as drying as some of the Illamasqua ones but still matte enough for me. What lipstick shades are you drawn to?